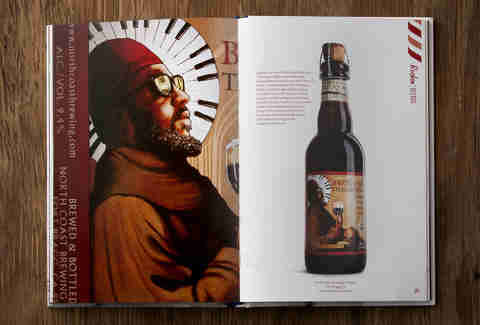 Even though it's very strange to have conversations with inanimate objects, say "hello" to Craft Beerds, a mighty tome focused on just one thing: beer labels that involve beards. And mustaches. And soul patches. And sideburns. So, actually, a bunch of things. 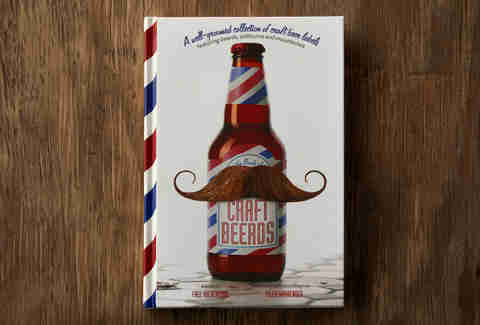 The Snidely Whiplash on the book itself fortells just how much Abercrombie will wax poetic on mustaches and milk stouts. 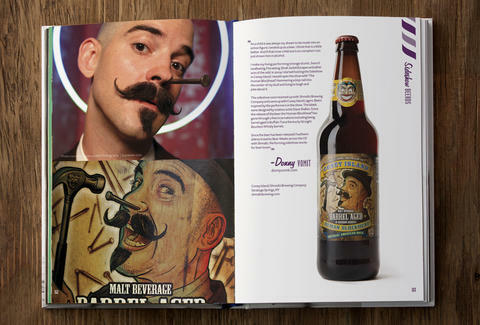 One of his favorites is Shmaltz’s Human Blockhead up top, which features "the impeccably curled ‘stache of Donny Vomit, a real-life sideshow performer"
The only thing scarier than one ginger? Twin gingers. Twingers. 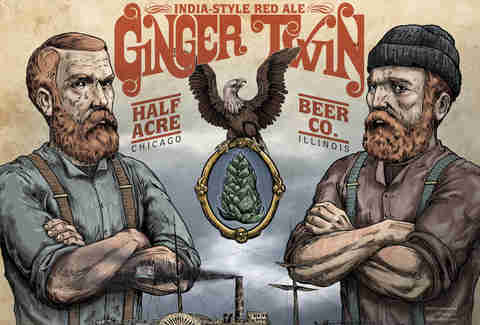 WHAT EVIL HAVE YOU WROUGHT UPON US, CHICAGO'S HALF ACRE BEER COMPANY?! 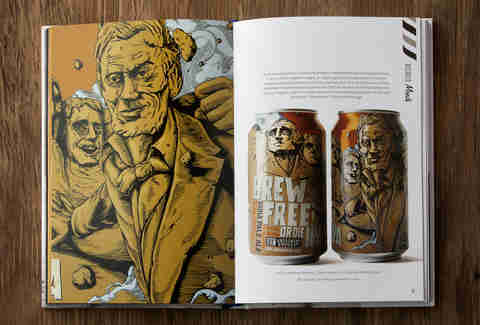 It's very difficult to tell if someone said "Abe Lincoln" or "Hey, Blinkin" after having a few of these hirsute Brew Free! Or Die IPAs from SF's 21st Amendment.